"Our best-selling ski jacket just got even better! Our best selling premium iconic resort ski jacket has become better. A new masculine sign off incorporates clean design lines with cutting edge technologies. Our new Life Pocket which is integrated in the chest pocket will preserve the battery life span of your mobile longer in cold environment to allow you to keep track of work and staying updated on social media. 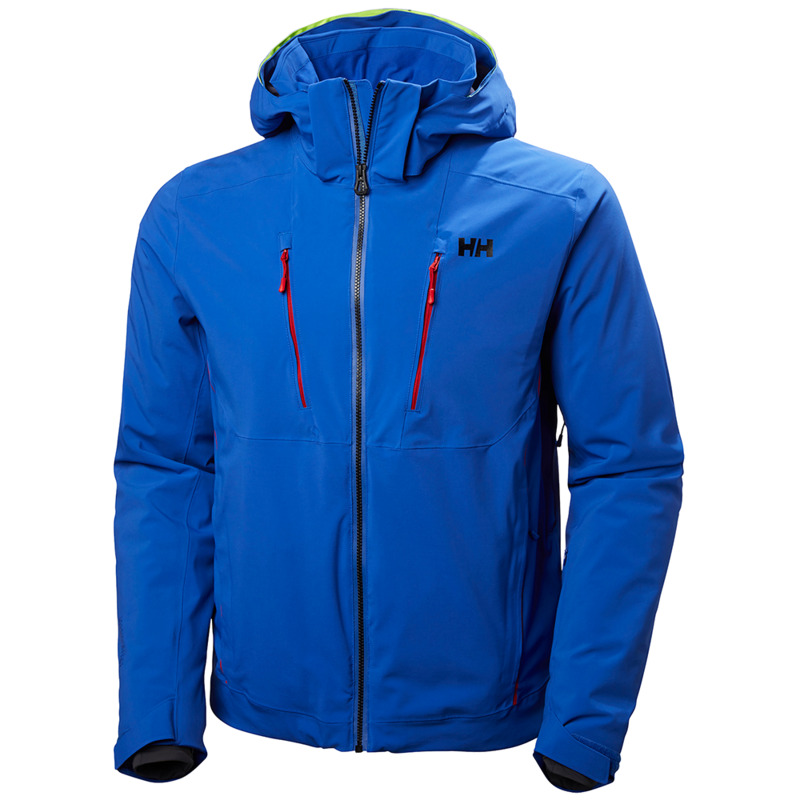 You will not fall short of technical highlights on this jacket with a light 4 way highly breathable, waterproof, stretch Helly Tech Professional outer fabric and a brim with hiviz fabric to unfold when the slopes are crowded to keep you visible for fellow skiers. The jacket use Primaloft Insulation with a body mapping philosophy to keep you warm in the right areas and our highly innovative H�Flow system turbocharging mechanical venting keeps you dry, warm or cool depending on the outside conditions. Premium ski features including stretch powder skirt, stretch lining and wrist gaitors with thumb hole are added for your comfort. YKK Aquaguard Vislon water resistant zippers "